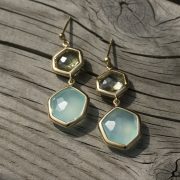 Aqua Chalcedony is associated with nurturing, composure and calmness. 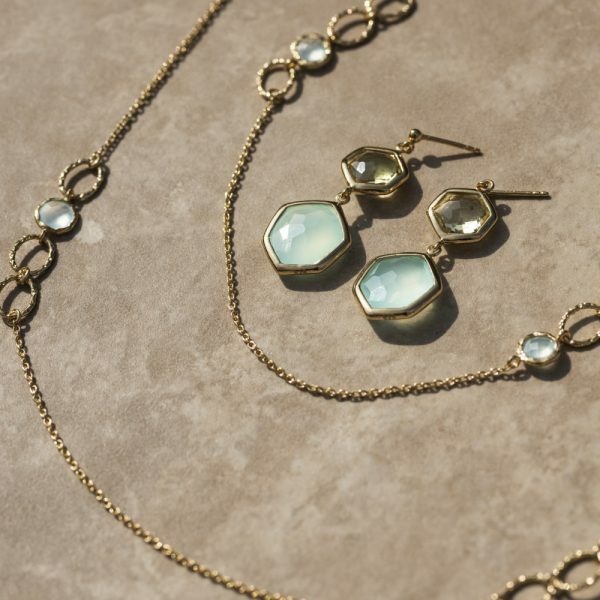 It is a beautiful gemstone with blue and green hues that change with the light and, here, its semi-opaque qualities create a soft blue that contrasts beautifully with its gold setting in this gorgeous Sylvia necklace and earrings collection. 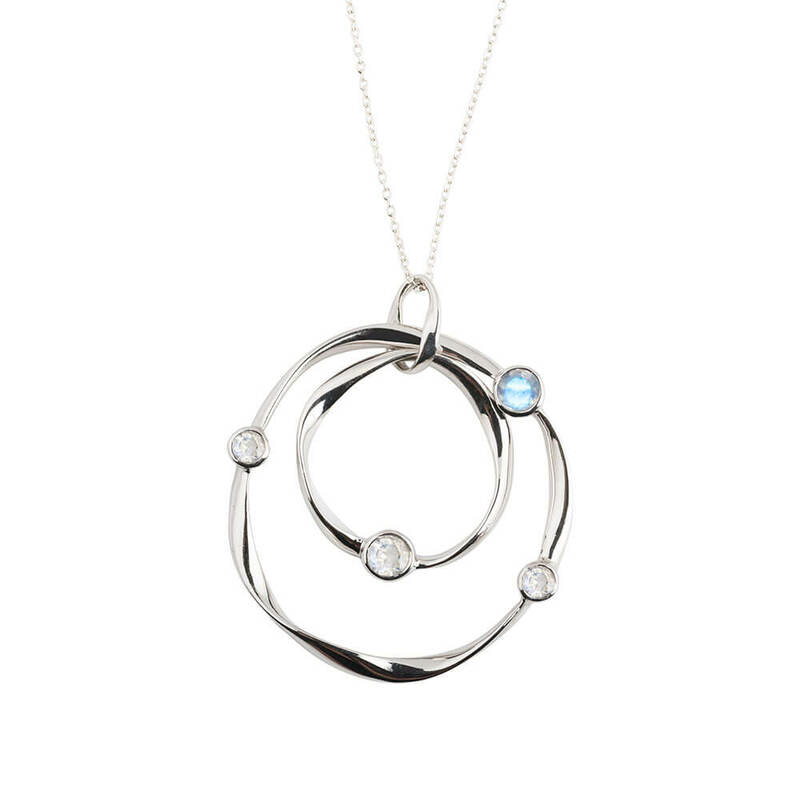 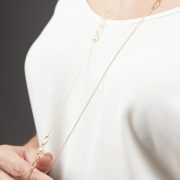 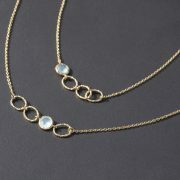 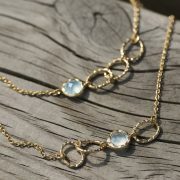 The fine, gold chain of the pendant features four sets of textured, oval links interspersed with an Aqua gem. The gold setting of the stone is textured to create extra surfaces for the light to catch and so reflect the calm centre of the faceted Aqua. 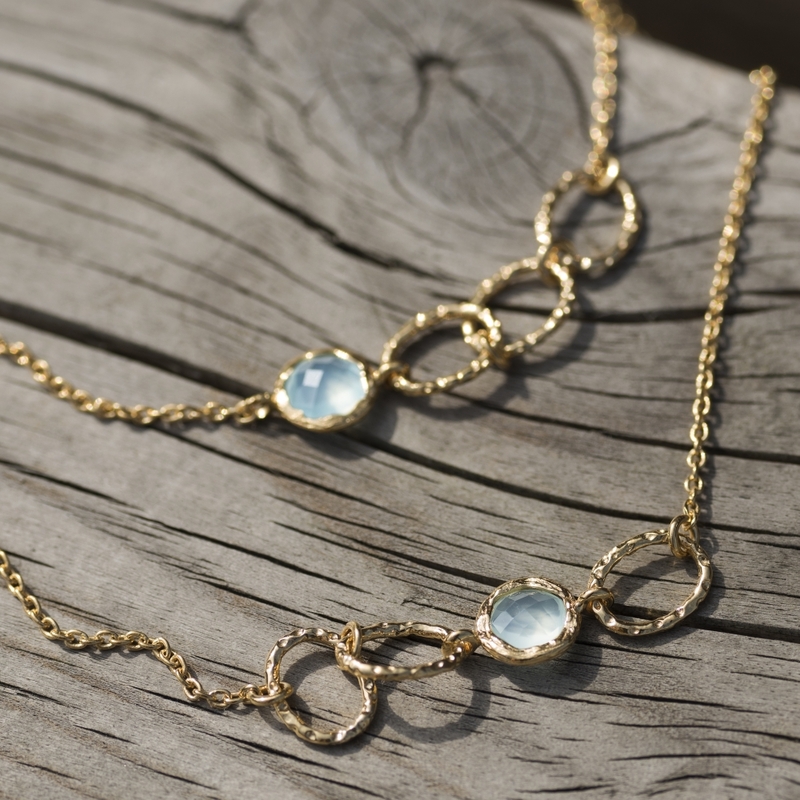 This lovely necklace can be worn long in one elegant strand, or doubled around the neck to cluster the stones more closely together. 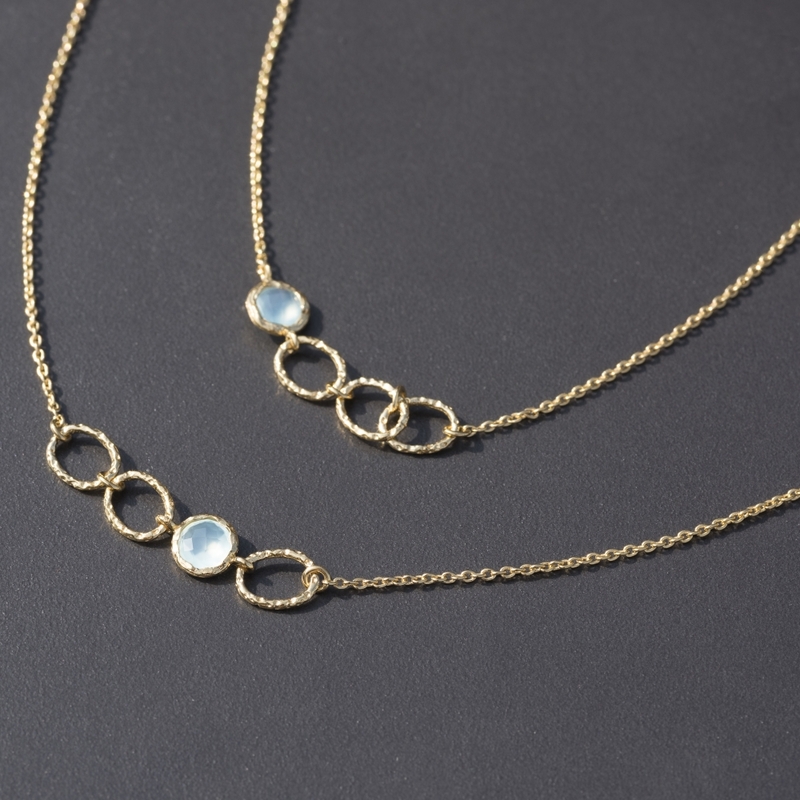 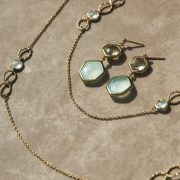 Worn long or short, the gold and blue gems create a beautifully elegant effect. 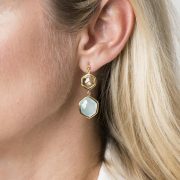 The earrings feature a large Aqua Chalcedony which is set off to beautiful effect by the crystal-clear, pale green Citrine it is paired with. 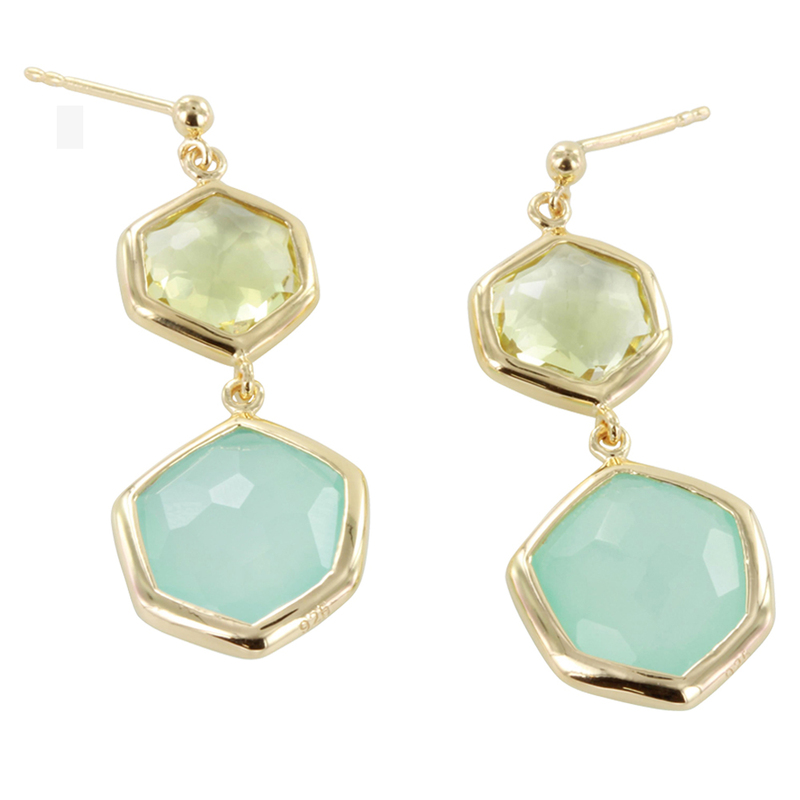 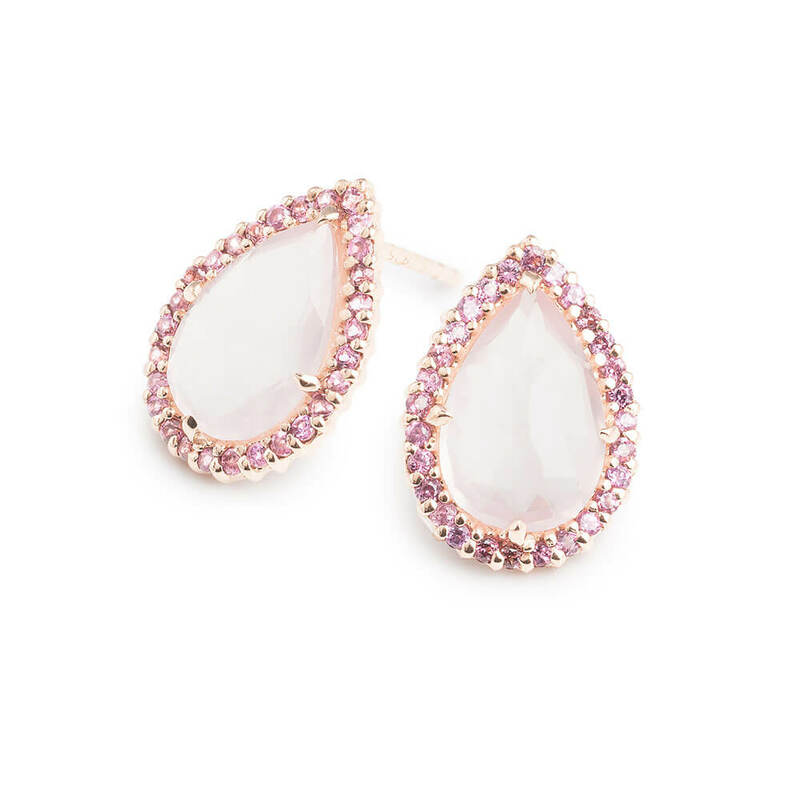 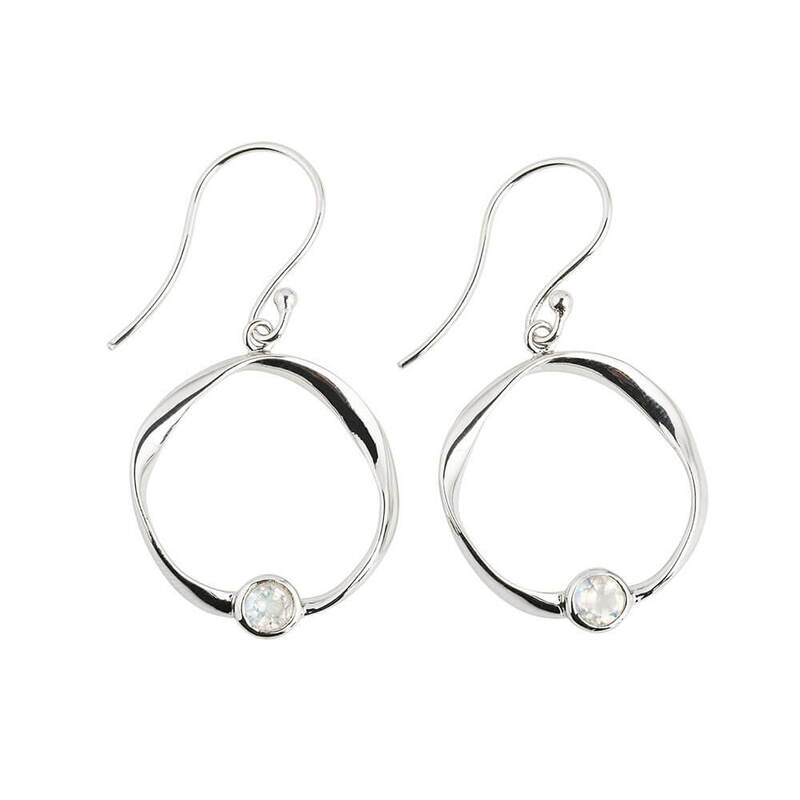 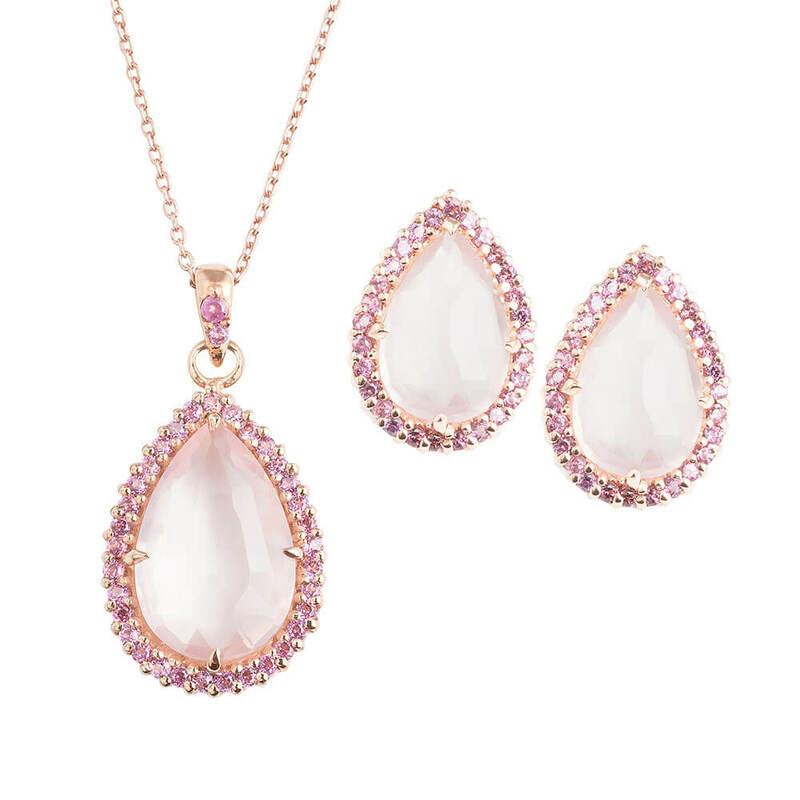 These are simply stunning earrings designed to make a statement.